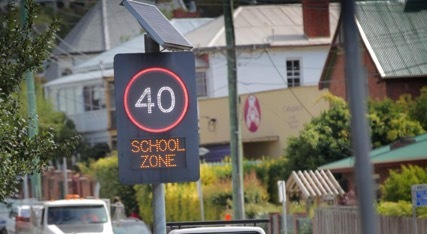 As the school holidays wrap up, it’s a timely reminder to slow down on the roads, particularly around schools. To ensure the highest level of pedestrian safety, motorists must maintain a speed of no more than 40km per hour in these areas to help protect our kids. · Vulnerability in regards to body size and strength in comparison to that of road traffic. By slowing down in school zones, drivers give themselves more time to stop a car in an emergency situation. For example, if a child ran out onto the road without looking (as they are highly likely to do), a car travelling at 40km/h is more likely to be able to stop in time than a car travelling at 60km/h. · The standard school zone times are between 8am - 9:30am and 2:30pm - 4pm, but always read the signage as this may vary. As a motorist, it is your responsibility to make sure you are aware of the road rules, your surroundings and that your car is kept in good working order. Ignorance is not an excuse.